Cordelia first started working in the biomedical sciences sector as a clinical technician at the Edinburgh Royal Infirmary after having graduated from the University of Edinburgh with a BSc in Biological Science (Hons in Physiology). She soon realised that her passion was in education and decided to complete her teaching degree (PGDE in Primary Education) a few years after. 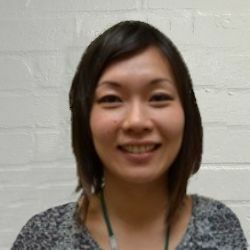 After living in Scotland for 8 years, Cordelia then moved to London to start her teaching career. She taught in Years 3, 4 and 6 at three different schools before finally joining Ashburnham as an intervention teacher. Since then, Cordelia has taken on the role of Special Educational Needs and Disabilities Co-ordinator and has found it thoroughly rewarding and values being part of this thriving community. In her spare time, Cordelia loves to travel, cook and spend time with her friends.